Outfly is coming any day now! Remember to dress up according to the theme at the bell the morning of Outfly. The winner of the costume contest will receive a prize. Also, don't forget to sign up for sand volleyball or the Wartburg Traditions Amazing Race here. Join Dean of Students Dan Kittle for Wartburg Chats, Tuesday, Oct. 17, noon-12:45 p.m., in the McCoy rooms. Be a part of a safe, respectful, and open conversation about a variety of topics that matter to you. There is no commitment, no homework, and no agenda. You may bring your lunch. Contact Student Life with any questions. September work hours (Sept. 1-30) were paid Friday, Oct. 13. Students can access their paystubs online via the InfoCenter by logging in using their Wartburg credentials and selecting “Pay Stub” under the Application tab. Students may also view their timecard on the InfoCenter by selecting “KnightTime Timecard” under the Employment tab. Questions regarding student employment can be directed to Abbie Raum, student employment coordinator, by emailing studentemployment@wartburg.edu or calling 319-352-8350. Christmas with Wartburg tickets go on sale to the public today, Oct. 16. Details and links to order concert and meal tickets can be found at www.wartburg.edu/christmas. The next Math, Computer Science & Physics Department Seminar will be Tuesday, Oct. 17, at 11:30 a.m., in SC 134. Dr. Brian Birgen, professor of mathematics and actuarial science, will present What is Financial Mathematics? Everyone is welcome. Refreshments will be provided. Emma Evans-Peck, a fourth-year music therapy major and Wartburg Student AAUW eBranch member, will share her experiences as a participant in the National Conference for College Women Student Leaders, which was held in June in Washington, D.C., on Thursday, Oct. 19, at 6 p.m. in SC 134. Evans-Peck was sponsored by the AAUW Waverly branch. Students interested in participating in the 2018 conference should attend this presentation for details on scholarships and sponsorships. More information on the conference is available at www.nccwsl.org. A representative from A Christian Ministry in the National Parks will be in the northwest foyer of Saemann Student Center on Monday, Oct. 16, from 10 a.m. to 2 p.m., to recruit for summer employment. Go to www.acmnp.com for more information. The Business Office will be closed Thursday, Oct. 26, for a staff retreat. The Financial Aid office will only be open that day from 8:30 a.m. to 1 p.m. Please plan accordingly for any business you may have with these offices. Are you awesome? Do you like to make money? Wartburg Dining Services wants you! We are one of the highest-paid departments on campus for student workers, paying $8.25 per hour. We are looking for people for Monday, Wednesday, and Friday, from 11:30 a.m. to 2:30 p.m. You can work any of those hours plus others. Apply on KnightLink or contact Bethany Myers. Details and an application can be found here. The application deadline is Monday, Oct. 30. Direct questions to Ashley Lang. Spirited Expression: A Reformation Celebration will be held in the chapel from 11:30 a.m.-12:30 p.m., featuring Dr. Karen Black, college organist; the Wartburg Choir with Dr. Lee Nelson conducting; and the Rev. Dr. Kathryn Kleinhans, speaker. From 12:45 to 3:15 p.m., students, faculty, and staff in groups of 12-15 will gather for Reformation Table Talks, guided discussion, and honest conversation about the college’s mission of faith and learning and the future of Spiritual Life and Campus Ministry. To reserve a spot (and a lunch) at the Table Talks, click here by Friday, Oct. 20. No classes, lessons, or meetings will be held during this time and most offices will be closed so all can participate. To volunteer to be a facilitator or “recorder” for the Table Talks, or if you have questions, speak to Ramona Bouzard or contact SLCM.office@wartburg.edu and include “Table Talk Volunteer” in the subject line. 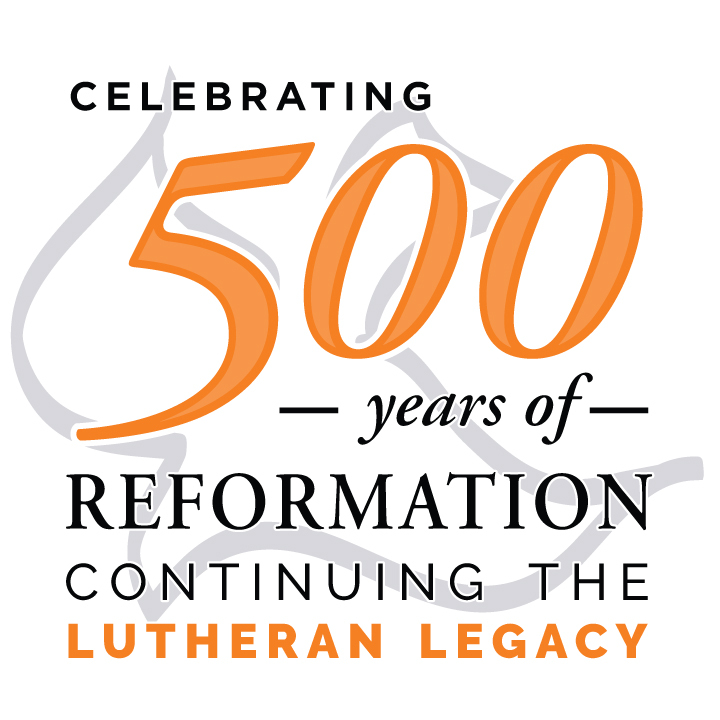 For more information on the Reformation Anniversary, click here. Hosted by the Sociology Club, John Jackson, Wartburg alumnus and police chief of Greenwood Village, Colo., will speak on his involvement with Colorado's marijuana legalization and community policing Thursday, Oct. 19, 7-8:30 p.m., in Buckmaster (WBC 214). Everyone is welcome. For more information, email Olivia McAtee. The Castle, Wartburg’s literary magazine, is looking for all artists — writers, designers, photographers — to submit their work for the opportunity to be published. Email your work to castle@wartburg.edu or kathryn.lee@wartburg.edu by Thursday, Nov. 2. The German Institute announces the annual call for applications to support activities/endeavors related to German and/or Germany. For 2017-18, a total of $1,500 is available from external sources. Because these funds are limited, an application is required, and they will be awarded on a competitive basis. Applications for the full amount of available funds will, at this time, most likely not be supported in full. Applications are due Nov. 3. Awards will be announced by Dec. 1. In the past, the Institute has funded enrichments to May Term trips to Germany, the German film festival, learning materials for the faculty/staff heritage tour, and subsidized student travel to Germany for study abroad. Click here for full application details. Direct all questions to Dr. Daniel Walther. Sign-up for the Candlelight Dinner hosted by the Sociology Club will be Wednesday, Oct. 18, and Thursday, Oct. 19, between 5:15 and 7 p.m. in Mensa. The Candlelight Dinner will be Wednesday, Oct. 25, at 6:30 p.m. in the Heritage Ballroom in Saemann Student Center. The cost for students with a board plan is $2. This may be paid with points or cash at the time of sign up. Cost for off-board students is $10 at the time of sign up. Special dietary considerations will be taken into account. Students with an account balance greater than $1,000 must contact the Business Office (Luther Hall 212, 352-8411) or Financial Aid Office (Luther Hall 212, 352-8262) as soon as possible to discuss payment and/or loan options. Students failing to pay their account balance in full or below $1,000 by Thursday, Nov. 9, may have their Winter/May Term registration cancelled by Enrollment Management. Those applying student employment wages to their account who feel their balance will be below $1,000 by the November student payroll should inform the Business Office. Those signed up for the Monthly Tuition Payment Plan and current with payments can disregard this notice. Thursday, Oct. 19, 5 to 8 p.m. Please bring your insurance card and a photo ID. The Walk-In Clinic is located in the Christophel Clinic at the Orange Entrance of Waverly Health Center. Call the Christophel Clinic at 319-483-1390 to reserve your date and time. Sanctuary is a holy space in the midst of your busy life where you can recharge and renew. Expect a relaxed time of Bible study, fellowship, music, prayers, and communion. Sanctuary takes place at 9 p.m. each Wednesday in the Chapel Commons (Chapel basement). Treats are served at 8:45 p.m. If you’d like to find out about Faith Expression ministry groups on campus, check out the SLCM Facebook page. Many of the student ministries have their own Facebook pages, too: Wartburg FCA, Catholic Knights, Adopt-a-Grandparent, Sanctuary, and Hope Overflow. Ian Wass ’02 was named the Waterloo Fire Department's Paramedic of the Year for 2017, as reported by the Waterloo-Cedar Falls Courier. Enrollment increased in 2017-18, as reported by the Waterloo-Cedar Falls Courier. The football team took down the Central Dutch, 44-20, as reported by the Oskaloosa News. Carrie Smisek ’12 was ordained as a pastor at Gloria Dei Lutheran Church in Rochester, Minn., as reported by the Lonsdale News Review. Students in Dr. Zak Montgomery's "Latinos in the U.S." captstone class are partnering with high school students from Al Exito in Hampton to teach others about Latinos' importance to the United States, as reported by the Waterloo-Cedar Falls Courier. Sharon Regenold ’85 reflected on her career as Cedar Falls' first female firefighter and first female fire captain with the Waterloo-Cedar Falls Courier.